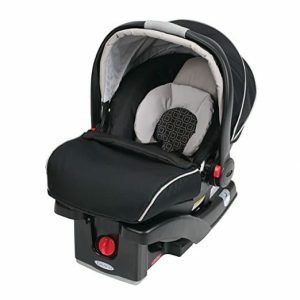 Among the priciest items you will need when your newborn baby leaves the hospital is an infant car seat. An infant car seat is designed to keep your tiniest passenger safe and comfy while offering convenience to you. We understand those good appearances can be deceiving and could disappoint after a short while of functioning. 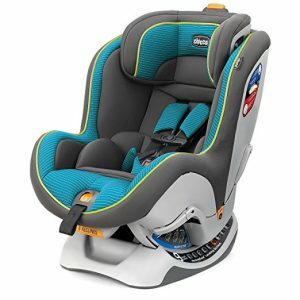 To save you the strain and frustration of dealing with such situations, we have carefully compiled a selection of the highest rated car seats you can get in 2019. This should effectively help in making informed judgments while making your purchase. 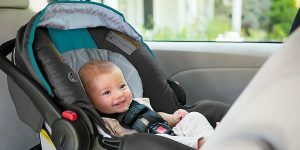 The weight and height Range: Babies usually grow like weeds and for that reason, it is important that your car seat can adapt to your child’s as they grow. Chances are limited that your child will reach the weight limit before reaching the height limit. 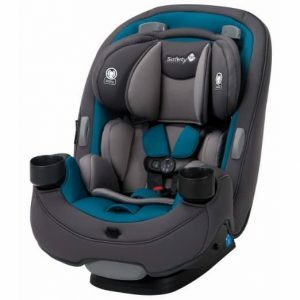 Each car seat has a defined weight and height limit and this should influence your selection. You may also opt for models with supportive padded inserts for small babies. 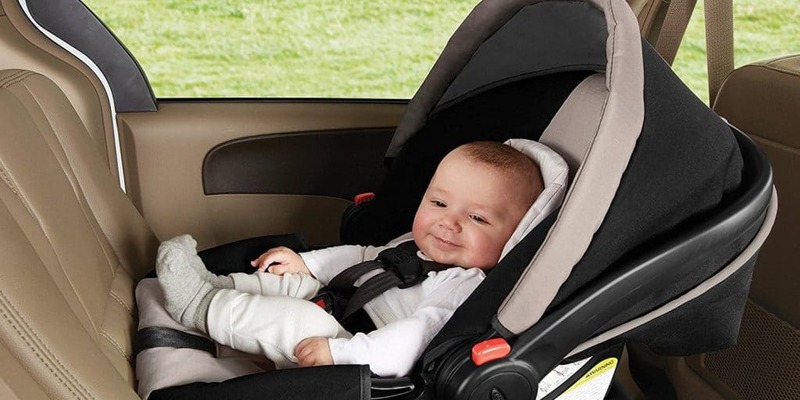 Safety: Although all car seats that sell in the US conform to Federal safety standards (NHTSA), it is undeniable that some go far beyond the FMVSS 213 standards. To absorb any impact during accidents or sudden breaking, you will want to have larger cushioned sides near the shoulders and head for protection. Similarly, additions like anti-rebound bar can reduce rotational forces in the event of a crash. Price: Safety being the most important factor, it’s defined by the price of the seat. Sometimes, the best pick may be an inexpensive lower-end brand that you have never heard of so don’t break the back. Design and comfort: Seats with more cushioning and padding are good for comfort and support. The presence of a handle means comfort for you too when carrying the baby car seat. If you will require using a stroller, opt for a design that is compatible with strollers. Accessories: Look out for extras like trays, toy bars, softer fabric, head pillows and canopy covers. These parts offer good value for money but are likely to impact on the price of the seat so consider if you really need them or not. They are convenient: You can’t compare the convenience of an infant car seat. When driving in traffic that is stop and go, they help stabilize the baby during sudden stops and starts. Some car seats can be connected to a stroller so that you can grab and go and move around easily with your baby sound asleep. They are safe: Rear-facing car seats will support your child’s body much better than any other type of seat. In a car crash, the force distributes over the entire body and reduces the risk of serious injuries. Other models have canopies that are sure to protect your child from the sun and elements when out and about. This is a funky car seat you will love to use. The car gear has a lot of exciting features. The 9 position ReclineSure leveling seat has two seat angle indicators for both rear and forward facing modes to ensure a desirable level and a comfortable fit. The infant car seat is loaded with features like the super clutch LATCH tightener with force-multiplying technology to ensure a firm fit. Another great specification with this seat is the slide path which is convenient for repositioning the Latch strap when converting from rear-facing mode to forward facing mode. These are just a few of the endless reason why you should try out this amazing model. 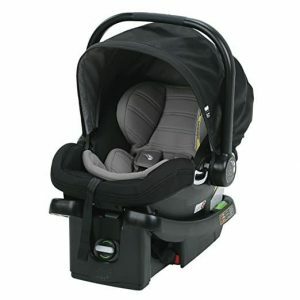 Safety is most important for baby products and Safety 1st are sure to offer that in this car seat. To protect your adorable little infant from side impact in an unfortunate event of a side collision, the Air Protect advanced cushioning system offers shield around your child’s head and also adds to its comfort. Another big plus point is the Cell HX technology that will evenly distribute the impact of a crash around your child’s torso; this provides protection in the case of a crush. Cleaning the inner is no hassle as the seat pad is machine-washable. A simple machine wash is all you need to keep the seat pad all-new and clean as it should. You won’t have to worry when you need to leave your car with it; a special design handle offers a firm grip. This device can seat babies up to 35 lbs. This fashionable and stylish infant car seat has been designed and built for parents on the move who will occasionally want to use a stroller. A reinforced carrying handle has been fitted to ensure it is fairly easy to pull it in and out of tight spaces and easier to carry around when it is not in the car. The car seat maker was also keen to protect your little one against direct sun rays and elements with the extended UV50 canopy that can be withdrawn when you don’t need it. The Taxisafe belt path with easier seat belt base installation and an integrated belt lock-off means you won’t need a base but a seatbelt to secure your child. And for installation in your family car, an adjustable 6 position base for a firm, level fit and you do not have to re-install each time. Proper installation is easier thanks to the push button latch. It is the ideal rear-facing car seat for babies’ from 4 to 35 lb. All said it is certainly a worthy purchase. 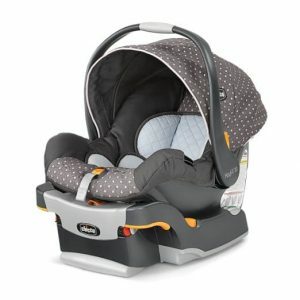 Another safe and reliable pick with 5 point harness is the Graco Snug Ride Click Connect 30 Infant Car Seat. 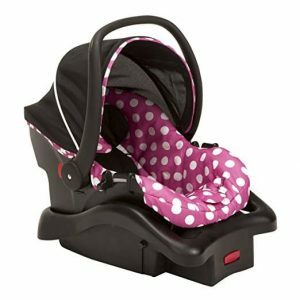 When transporting that very precious load, give a display your fashionable side with this infant car seat. The stylish car seat can serve as a rear facing infant seat for about 2 years, then your average child should weigh at most 40lbs and 32” height. Graco’s Safe seat engineering was applied in crafting this piece to ensure your baby stays safe in all situations. The Finch Fashion feature beautiful color and pattern combinations on the fabric used. Installation is a breeze; the stay-in-car base has a latch to help you with that. Again, the Click Connect feature makes it easy and convenient to install and assures that the car seat is secure in the base and hardly moves when properly installed. No matter how you grab it, the handle is comfortable and tight enough for any movements. lusher, softer to touch while still ultra-light then this is an option you will want to think about. It can be adjusted to 4 different positions to fit your newly born. This infant car seat will be handy for that memorable first trip from hospitable and still serve you when your newborn is 22 lbs heavy and 29” long and requires a stroller. A convenient handle means it’s made to be removed and carried to save you the trouble of removing your child. The 5 point harness structure with side impact protection boasts to have met and surpassed Federal and ASTM safety standards. You will certainly think about it for a great balance between value, looks, and performance option you will certainly want to think about. 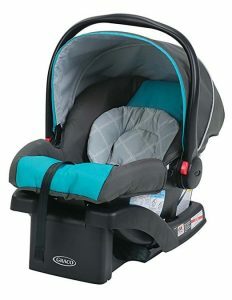 Another deserving addition to our best infant car list is Graco Click Connect 35. This ultra-lightweight car seat is all you need for a simple but excellent first seat for your tiny traveler. The 5 point ranking in harness is backed by an accompanying removable head support for cushioning. The click connect system is also featured; the click indicates your baby seat is safely installed to your car or stroller. A LATCH is also fitted to make installation quick and easy and with a steady handle for movement outside the car. A rotating canopy does a great job of covering the area over your baby’s head and obstructing sunray and particles. The rear-facing seat will accommodate your 4 – 35 lbs baby with up to 32 of height. This product has been tried and tested and its standards are acceptable in the US. Apart from added protection, this car seat is at par with craftsmanship. The incredible 12 position harness will make the seat timeless for your infant, not to mention that adjusting it is a push of a button. An On/Off button releases and locks the lower anchors firmly into place. Safety is guaranteed thanks to Safecell impact technology that integrates a steel frame, energy-absorbing base and impact absorbing tether with staged-release stitches to minimize forward push in the event of a crush. It’s no wonder most families are more confident and secure with this car seat covering their new bundle of joy. Suitable from birth up to 40 pounds as a rear facing seat and still perfect as a forward facing seat for kids 20 – 65 lbs heavy. We will recognize this infant car set not just for Impressive styling and simplicity but for the safety measures and convenience as well. The manufacturer designed this car seat so that, as your baby grows, the seat will still be comfortable. 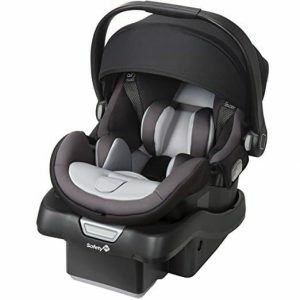 It is usable through 3 stages, at a minimum, it is a rear facing seat for 5 – 40 lbs babies and a forward facing 22 – 65 lbs seat at a maximum. You could as well use it as a belt-positioning booster for massive 40 – 100 lbs kids. Another bonus is the removable machine washable pad that also supports your baby’s droopy heads during naps. More leg room has been created for you when it’s rear-facing in the front seat with this design and this means comfort for you. 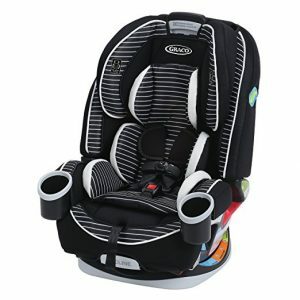 Chicco is a well-known name in the niche’ of infant car seats. It is perfect for a preemie 4 – 11 lbs of weight because it can adjust to very small sizes with the comfort and protection levels intact thanks to the padded insert. It is fit for kids up to 30 lbs. It boasts an ergonomically designed handle to offer adequate support. You won’t fail to notice the sunshade canopy, a wise option for the bright scorching sun of summer. Another add-on that impresses is the spring loaded leveling system with bubble level indicators to ensure the positioning is just right at all times. It comes with a belt routing lock-off system so you can use it in cars without latches. It’s compatible with basically all the strollers available. It’s simply everything that you could want in a car seat. The 4ever 4-in-1 convertible car seat is a favorite for parents who want something trendy, cute but do not want to compromise on safety and comfort. This unit passes the test of time and can hold up to ten years thanks to its versatile construction. It comes out as a rear-facing infant car seat for 4 – 40 lbs babies, as a forward-facing seat for 20 – 65 lbs toddler and back belt positioning for kids old enough to weigh 30 – 100 lbs. The in right LATCH system also adds to its safety and ease of use measures. The company has is known to meet and exceed safety standards FMVSS 213, so you have absolutely no reason to worry about this purchase. With the beautifully trimmed, cozy removable, machine-washable linen in the interior, you are sure of high hygiene standards. For all these great features and attributes, this pick ranks highest and is highly recommended. 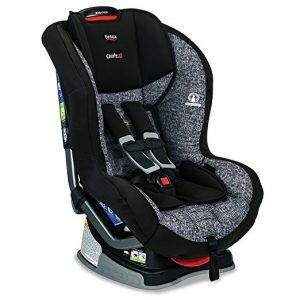 With the vast and varied option of infant car seats, you can’t do much better if you are stuck in your search. We have carefully broken down all the wisest choices in town and we are positive that will be crucial in landing at your preferred alternative.